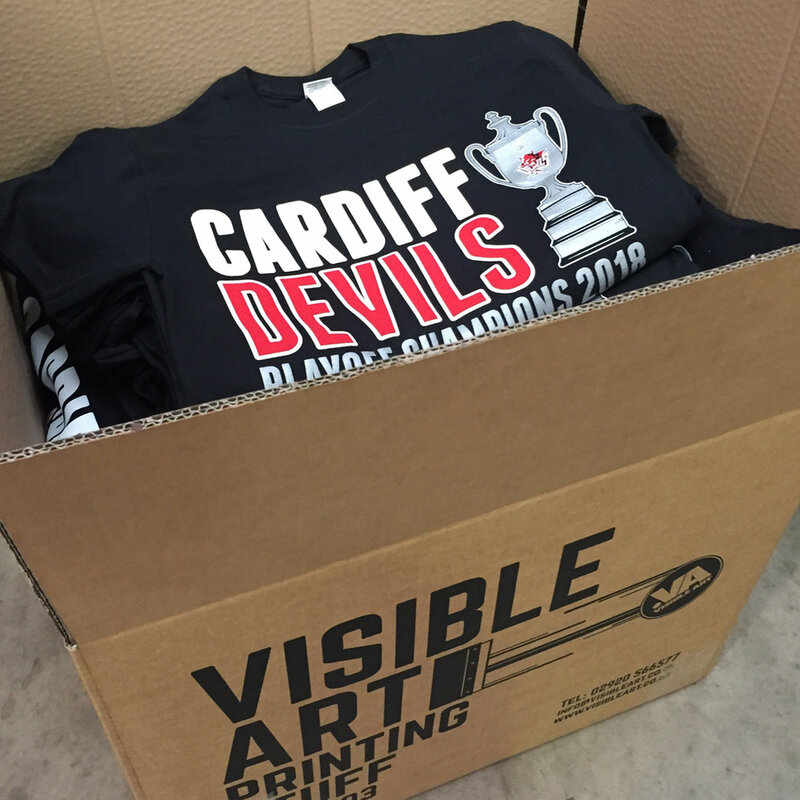 With the start of a new season we get a chance to show off what we have been designing for Cardiff Devils Ice Hockey Club, Its always satisfying when a client just lets you loose on their brand! 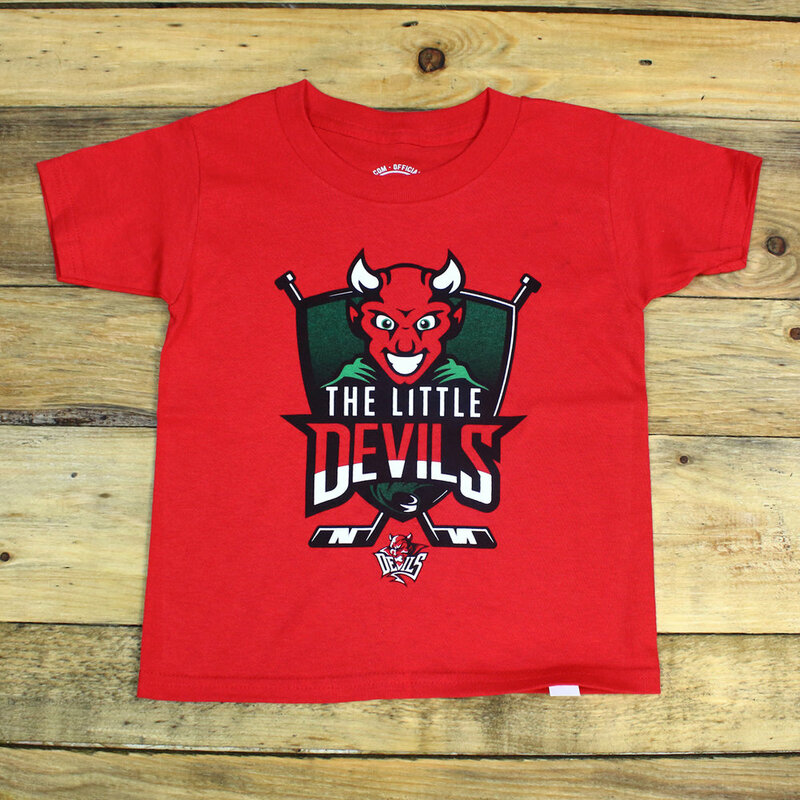 This was the third year of designing their merchandise so we had pretty good idea of what we needed to do, our personal favourite was the ice scratched logo. Feedback from the previous sales was invaluable in identifying preferred styles by the fans. This is an area of our business we would love to expand as the majority of the staff come from creative backgrounds, on this occasion we were lucky enough to be able to use contributions from three members of staff which helped broaden the ranges of styles. From a technical point, an advantage to the process of designing and printing, we were able to choose the best ink for each design. On this run we used plastisol, water-base inks, flock and plastisol transfers to achieve the finishes we wanted. If anyone has a project, idea that we can help with please get in contact this is the stuff we love and are passionate about!